We're pleased to highlight the ongoing work of McHenry Shaffer Architecture. 2015 represents the 20th year of our practice, and we want to express our sincere gratitude to the many great clients and builders with whom we've enjoyed successful collaborations. The diversity of our work has always been a large part of what has made for a satisfying practice, and our current projects have as much variety as we've ever seen. With the improved economy, we've been busy on many fronts and here's a sampling of several current projects that showcase our range. 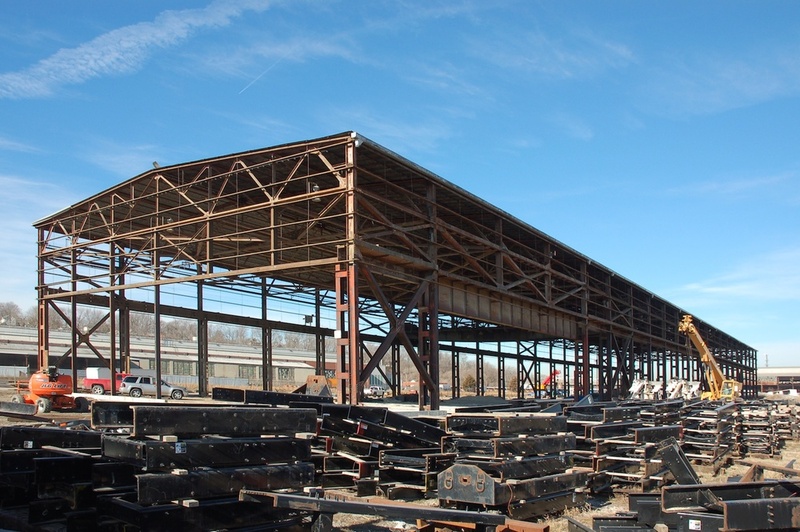 On the commercial side, design work is completed and construction commencing on a remarkable effort that takes massive structures from the glory days of Armco Steel and re-purposes them as production facilities for a homegrown Kansas City company, Custom Truck & Equipment. It's great to be part of such a forward-looking endeavor, which will create many new jobs for skilled workers. It has taken a lot of work to get the project going, and we'll continue to share photos as construction moves forward. On the residential side, the Mission Drive residence in Mission Hills, Kansas, is now on the home stretch towards a finish date in early autumn. It is a project that has allowed us to work within a traditional vocabulary with some of the finest artisans imaginable. And we're pleased to have been selected by an avid patron of the arts to design a contemporary environment for living and art display in one of Kansas City's great residential high-rise structures. This project is moving along through the design process, and we're enjoying the opportunity to explore a minimalist aesthetic.